Episode nine comes just in time for National Red Rock West Week! Join in the *new* American tradition of celebrating this 1993 John Dahl neo-noir pic during the first full week of December! Partake in Nic Cage impressions. Reflect upon Dwight Yoakam performances. Droll over JT Walsh style manliness. Blush whenever Lara Flynn Boyle's name is dropped. Smile at the mere mention of Dennis Hopper. Director John Dahl (The Last Seduction, Joy Ride, Rounders) stops by to talk about his second feature film, "Red Rock West" (1993). Noted Bay Area theatre critic and pop culture guru Sam Hurwitt (@shurwitt) swings by for a round of "What Do Ya Know?" 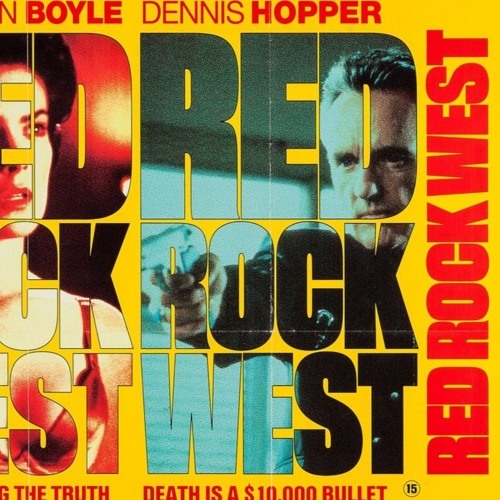 Mr. @aj_macready shares his top picks within the filmography of John Dahl; @Dr_David_Banner recommends some films for folks that are fans of "Red Rock West" (1993). But before all that, noted character actor Sean C. Duregger (@seancduregger, The ScreamHouse Podcast) tackles the role of "Michael Williams" (orginally played by Nic Cage) for our reenactment opening. Enjoy this week's episode, kiddies! Next week we look at "Cheap Thrills" (2013) and then after that, it's curtains until January! Please follow us on Twitter: @splathousepr Visit our website (episode and video links available): www.splathouse.com Contact by email: miked@splathouse.com (for episode related queries); sarah@splathouse.com (for ad space or business needs) Hire Jim Rock for your audio needs: jimrock@splathouse.com Like us on Facebook, blah, blah, blah. You're capable. Let people know you dig us. Please. AND THANK YOU!